Food contained in uncoated aluminium dishes can contain high levels of the metal, according to a study investigating foods that are cooked and then chilled. The 'cook-chill' process is an advanced food preparation system that involves cooking, followed by rapid chilling and storage at controlled temperatures. 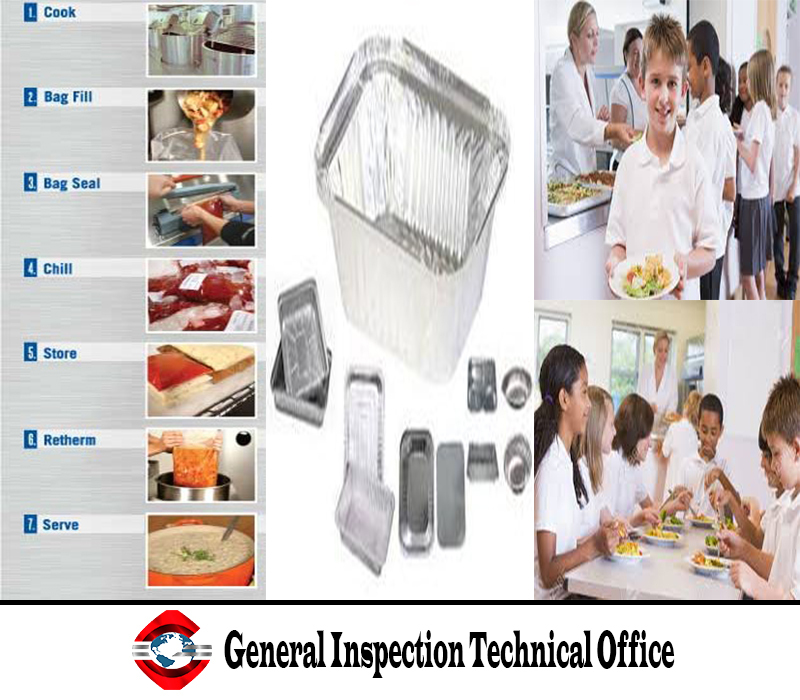 The process is widely used in catering for child daycare centres, schools and canteens. Germany’s Federal Institute for Risk Assessment (BfR) looked at the transition from aluminium compounds from four uncoated aluminium meal dishes into test foods sauerkraut, apple sauce and passed tomatoes. For all samples, the release limit of 5mg of aluminium per kilogram of foodstuffs was significantly exceeded after the warming phase. Plant foods and drinking water already contain aluminium, and according to the European Food Safety Authority (Efsa) the tolerable weekly intake (TWI) of 1mg of aluminium per kg of body weight is likely to be already present in much of the population. BfR said an adult would absorb an additional 0.5mg of aluminium per kg of body weight, after eating 200g of acidic food from uncoated aluminium dishes. This would "significantly increase the likelihood of exceeding the TWI". This did not necessarily imply health impairment, but the BfR recommended minimising any additional intake, especially in children and seniors who may consume hot meals from such dishes on a daily basis. There is no EU legislation setting release limits for metals and alloys in food contact materials (FCMs) but the Nordic Council of Ministers published a guidance document in 2015. At the end of last year, the European Commission's Scientific Committee on Health, Environmental and Emerging Scientific Risks (Scheer) announced that it would develop a scientific opinion on the tolerable intake of aluminium, with regards to adapting migration limits in toys.